State-of-the-art estimates of the cost of raising children are the missing link for social policies and programs meant to support low income and middle class families, says Campaign 2000. 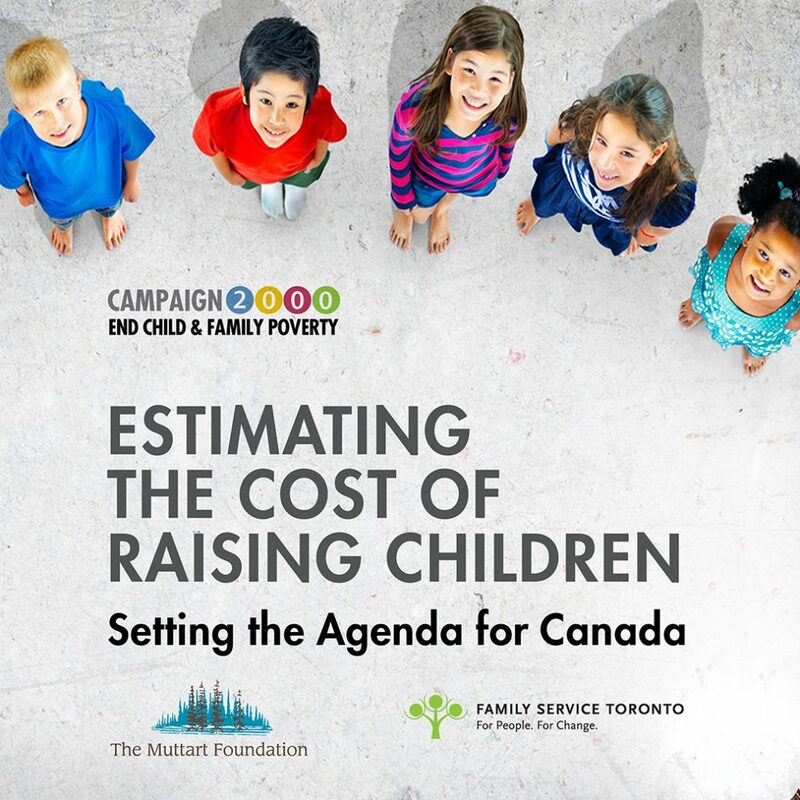 Released today, Campaign 2000’s new report, “Estimating the Cost of Raising Children: Setting the Agenda for Canada,” outlines the need for official estimates to guide public policy and assist parents across Canada with planning. Read the full report in English or French and check out the infographic summary. Media releases are also available in French or English. In “Estimating the Cost of Raising Children: Setting the Agenda for Canada,” authors Dr. Dana Bazarkulova, Dr. Karen Duncan and Dr. Sid Frankel provide a comprehensive overview of the importance and history of the topic and present the advantages and disadvantages of various methods used to calculate the costs. Accurate estimates of the cost of raising children are dependent on comprehensive measurement of the costs families face. Further, costs can differ based on ethno-cultural practices, geographic location, disability and health status of children and such variation requires recognition. The report highlights that different types of estimates are best used for different purposes.